Last week has been a busy one for Destiny, with the launch of update 1.1.1 and the announcement of a new mode coming to the title, but it seems that Bungie is not trying to rest and is already working hard to improve aspects of the patch that have disappointed some members of the community. The studio held an open house event and one of the questions that received the most attention on the official forums is about the weapon changes that have been made and the way the balance of the title will be improved in the coming months. Bungie states that feedback to the changes introduces for Auto weapons in update 1.1.1 has been mixed and that more reactions are needed before plans are made for a new patch. The company also says that gamers should explore an older developer blog that talks about the full vision for weapons that is guiding the development process for the title. With update 1.1.1 just launched it might take some time before the developers have the data to decide which changes are required and then collect them all in a new patch for Destiny. Until then the company is planning to launch a new mode called Inferno next week, which will introduce more options for those fans who love Player versus Player engagements. 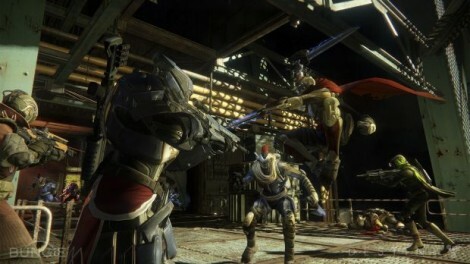 Bungie says that the new experience is designed to force gamers to go back to basics, with a greater focus on their tactics and on the way they are reacting to the environment and the flow of battle. The development team is also hard at work on the House of Wolves expansion, which is supposed to be launched before the end of the second financial quarter of the year. It is designed to introduce as much new content as was deployed in The Dark Below in early December. Gamers will be able to enjoy an entirely new end-game raid, more strikes and a variety of weapons and items.